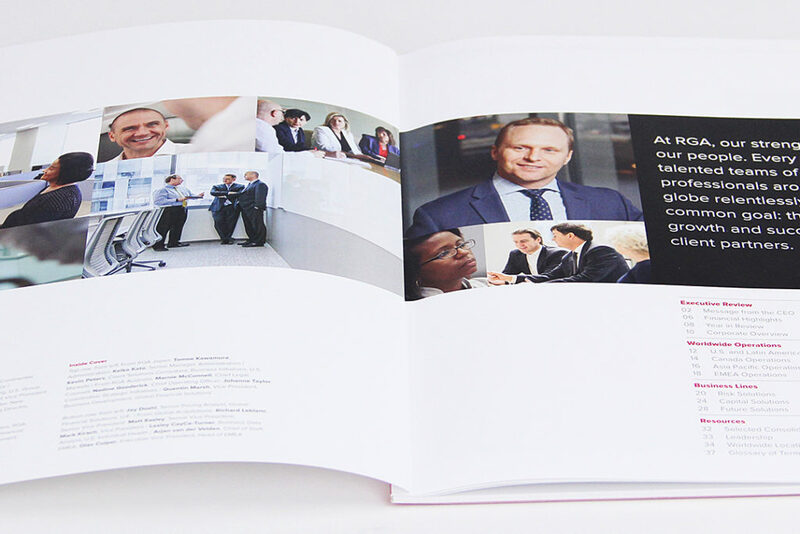 Tell a differentiating story of reinsurance – on a global scale. 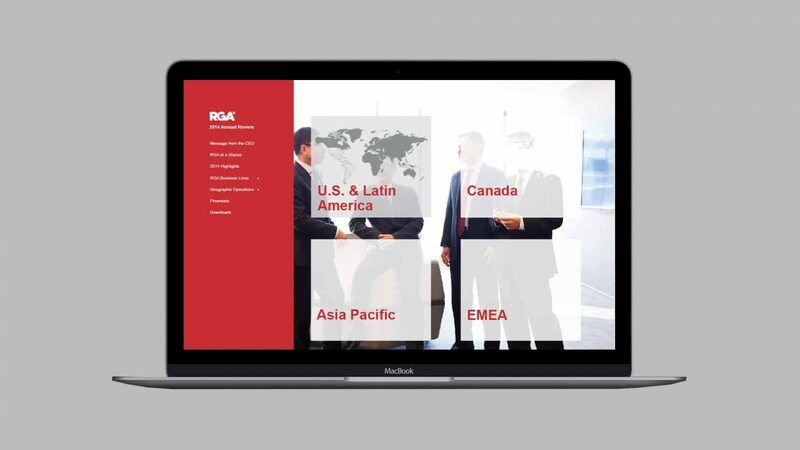 Increase the global reach of the RGA annual message – translated into multiple languages – through the design and production of an investor document using both print and on-line formats. Review the financial and operating performance of the global reinsurer in the context of 80 global markets across 26 countries. 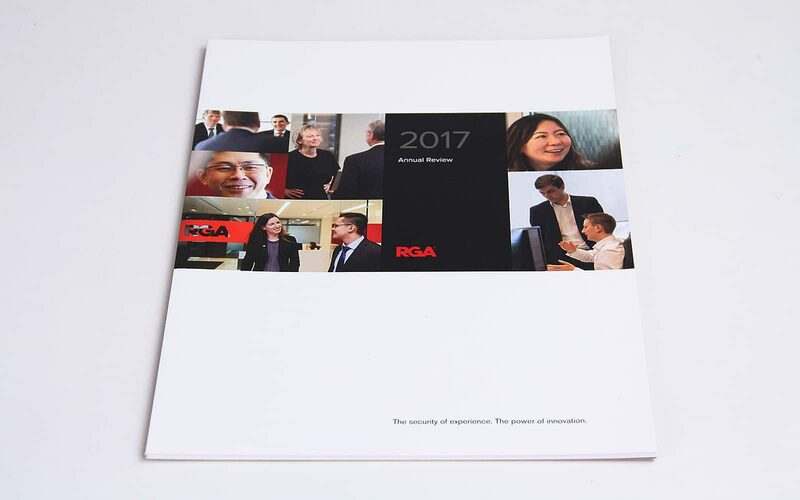 Using clean design and custom photography, highlight the international teams of employees that contribute to the significant success of RGA. 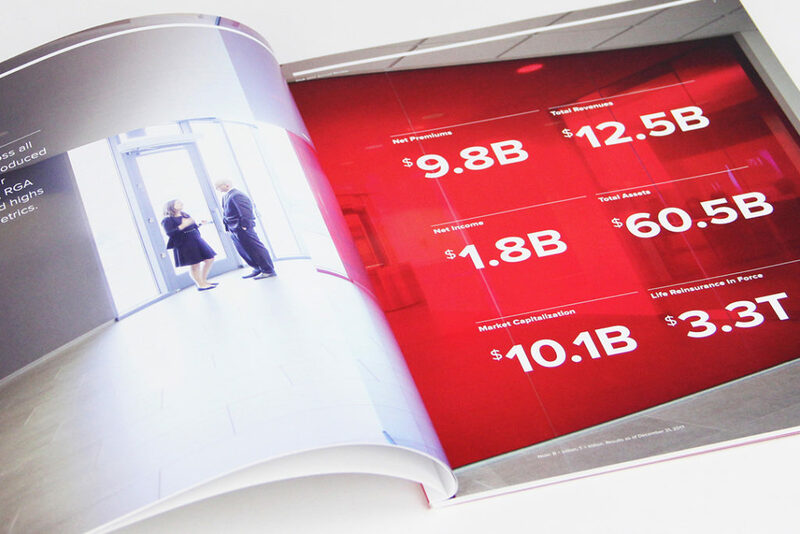 We continue to build and evolve the design language developed over the past decade. 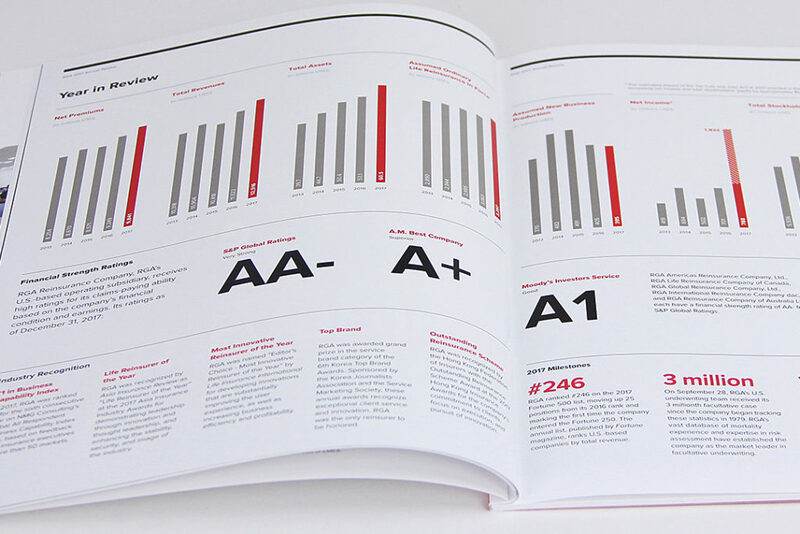 The result is a design that is inherently RGA – the corporation – and its people. The website presents the complex story in an easily-navigated format. The mobile experience provides easy access to performance data across a global, multi-language platform. 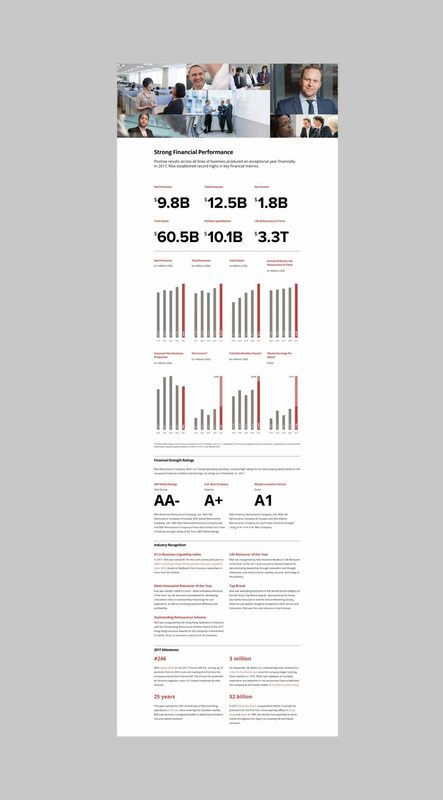 With offices literally around the globe, the process of designing the annual review and related financial collateral is a true collaborative endeavor with our RGA client. The design, produced in multiple languages, communicates the global reach of their company and the experience of its associates.